We’re getting into the spirit with a couple of seasonally appropriate decorations. 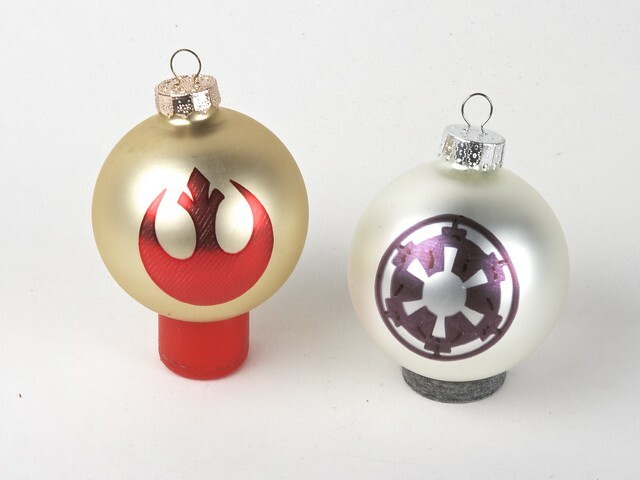 The Rebel Alliance Ornament and the Imperial Crest Ornament for EggBot are both available on thingiverse. Our guide to printing ornaments with the EggBot may be helpful, too. Both designs are derived from a set of silhouettes from vecteezy.com. This entry was posted in Art, CNC, Eggbot, EMSL Projects and tagged holidays, star wars. Bookmark the Permalink.